Microsoft Teams is getting better every day and I am using Teams for everything, share documents, chats, meetings and so forth. 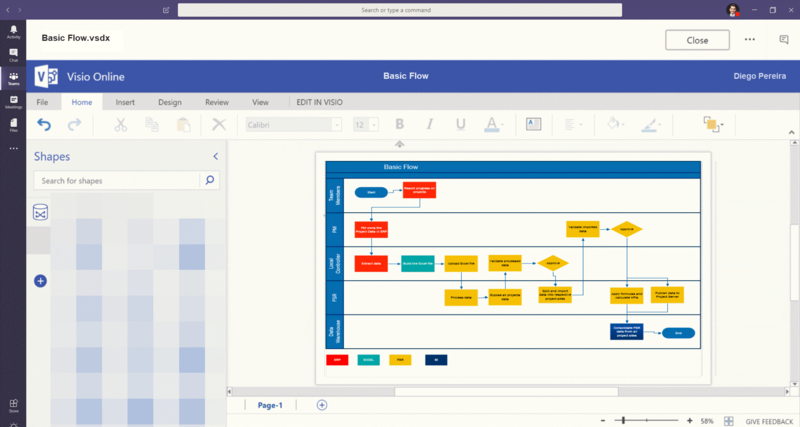 Using Microsoft Teams you can make changes to Excel, Word, PowerPoint and now Visio files. You can make simple changes without leaving the Teams app. 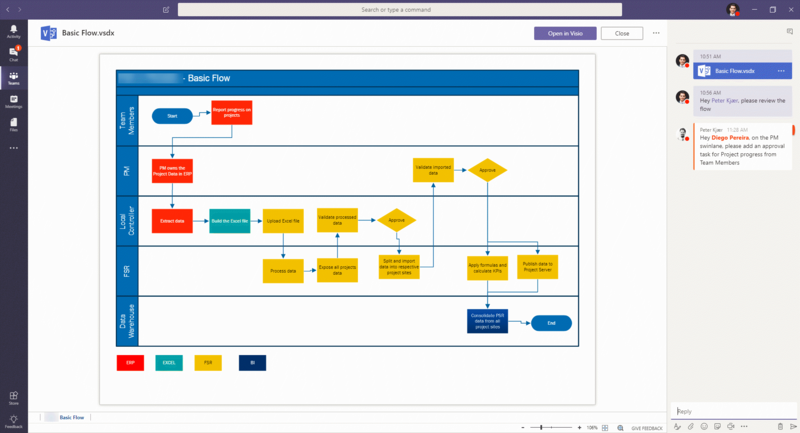 Of course, when you need to do big changes you have the option to use Visio Online or Visio Desktop Version. Licensing – Vision Online viewing is available to the following Office 365 subscriptions. But editing is only available with a Visio Online Plan1 or Plan 2. So, if you do not have the license, you will not be able to edit the file, as the image below, but you can open using Visio Desktop by clicking on Open in Visio. If you have the license then you will be able to edit the file inside Teams.